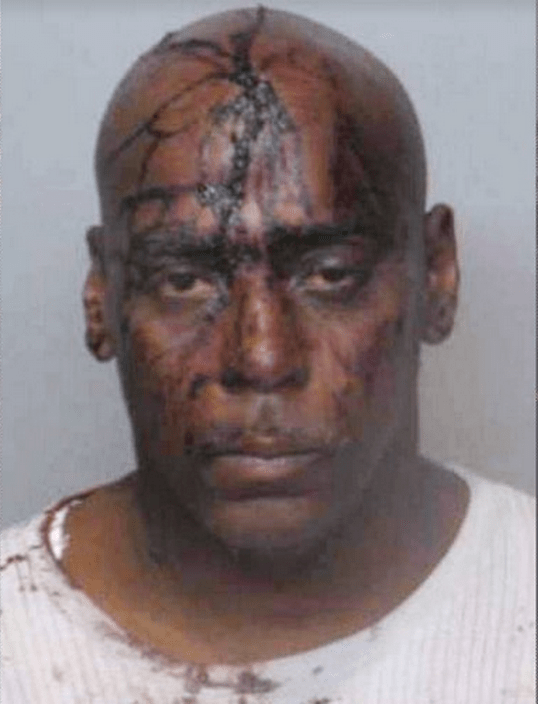 “On and/or about the 20th day of Sept. 20, 2009 at or near 222 S. Florissant within the corporate limits of Ferguson, Missouri, the above named defendant did then and there unlawfully commit the offense of ‘property damage,’ to wit, did transfer blood to the uniform,” reads the charge sheet. As Michael Daly reports at The Daily Beast, the address where the defendant was said to have so wantonly damaged these officers’ uniforms is in fact the address of the Ferguson Police Department, which recently took over from the colon-searchers in Deming, New Mexico, as America’s favorite. Did the above-named defendant go down there voluntarily and throw blood upon their uniforms? No he did not. The two Henry Davises had different middle names and Social Security numbers, but these details, and the corresponding likelihood that the person in custody was an entirely different human being not suspected of anything, do not seem to have been important. Though the booking officer realized the problem, he did not let Davis go. When Davis objected to being locked up and forced to sleep on a cement floor, the officer summoned others. Words were exchanged, probably—you know how people smart off in Ferguson when being hassled for no reason—and Davis was beaten and kicked in the head. He fought too, apparently. We don’t know for sure, because the surveillance video for that time was accidentally not preserved. In this emergency-room photo, you can see where Davis got the blood that he allegedly “transferred” to the uniforms of the officers who beat and kicked him. Possibly while they were beating and kicking him, but the report is not totally clear as to when said transfer occurred. To be honest, there are reasons to believe that it never occurred at all. Such as the fact that the officers involved all admitted under oath that it didn’t. That’s one pretty good reason. According to the report, which quotes from the depositions, one officer basically admitted under oath that he had lied under oath previously when he signed the criminal complaint against Davis. All the officers, in fact, claimed none of them struck Davis and that they did not see him bleeding. A little awkward, considering they had charged him with bleeding on them. Somehow, a federal magistrate ruled that the perjury and Davis’s injuries were too minor to sustain his due-process and excessive-force claims. Kind of astonishing. The case is on appeal, though, and Davis’s lawyer suggested that recent events in Ferguson might lead that court to take the claim a little more seriously. The Daily Beast also notes that the officer who has since been identified as the one who shot Michael Brown had been on the job for about two years at the time of the Davis incident. Did he learn from it? We don’t know yet. Not for sure, anyway. Update: The Eighth Circuit reinstated Davis’s claims, saying these injuries were not so minor that they could not possibly support a claim. But when the excessive-force case went to trial in March 2016, the jury sided with the officers anyway. So that’s how that one came out.